Over the last two decades we have been made increasingly aware of how easily chemicals can be absorbed through the skin and the serious health problems that this can cause. Ironically, some of the products that we use most to cleanse, moisturise and colour our skin and hair contain harsh synthetic substances. Some of these substances' effects are unknown while others are known to be toxic. It is no wonder that more and more people are turning to natural personal care products. When it comes to down to the cosmetics industry however, there is no clear definition of 'natural.' Although many manufacturers may use the term on their product labels, this doesn't necessarily guarantee as much as you might think. A product may boast that it is 'natural' simply because it contains one or more plant derived ingredients. However, this is often in addition to synthetic substances in base formula. Hypoallergenic products not much close to 'natural' either. Their label only means that the manufacturer believes the product to have less chance of causing allergic reactions than other products.. Similarly, products claiming to have been allergy-tested, dermatologist-tested or sensitivity-tested carry no guarantee that they will not produce an adverse reaction. 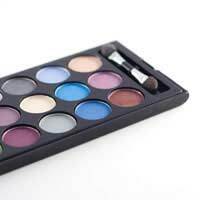 If you want to be totally sure that your cosmetics are botanically based, you could look for 'green' cosmetics. This trend, which originated in Europe, has been growing steadily in the cosmetic industry over the last twenty years. The 'green' label is not just a marketing ploy but is used within the industry to denote cosmetics that are more natural than 'natural.' In other words, products which contain no mineral oils, synthetic substances, synthetic preservatives or dyes. Again, there are no regulatory standards for 'green' cosmetics, other than those set by the members of the industry themselves. So how can you tell which products are really natural? The only way to be sure is to check the ingredients and, of course, you need to know what you're looking for. Here's a run down on some of the most common synthetic ingredients and their truly natural replacements. Cosmetics need preservatives to prolong their shelf life as well as an antibacterial agent to prevent germs from growing in them once they've been opened. Preservatives pose a particular problem for 'green' cosmetics, because the process used to obtain plant extracts can increase their bacteria content. Products boasting a preservative-free content can pose serious health hazards. All is not lost however, as there are ways of preserving cosmetics without using chemicals or boosting bacteria. One is to reduce the water content by using a water-in-oil formulation. The other is to use natural preservatives such as antioxidants, ascorbic acid and essential oils known for their antibacterial and antimicrobial properties such as tea tree, peach nut and lemon. Moisturisers use emollients to help improve the skin's moisture level. They work by forming a protective coating over the skin. Whereas synthetic emollients use petroleum derivatives, which wrap the skin in a film of oil, preventing the pores from breathing properly, natural products contain plant oils like almond oil, safflower oils, beeswax or avocado. These oils are much lighter and allow the skin to breathe. Without emulsifiers, water-soluble and oil-soluble ingredients are unable to combine uniformly. Natural emulsifiers include glycerin, carrageenan, and lecithin. Some manufacturers avoid using emulsifiers altogether, their products merely require shaking before use. While fragrances are the substances that give products a pleasant aroma, fixatives preserve these scents by preventing them from evaporating. Natural fragrances are made using plant or fruit extracts. These may still cause allergic reactions in sensitive people, so if you already have allergies to certain plants, be sure to choose fruit fragrances or safe plant scents. The most natural products will use herbs or essential oils to preserve fragrances. Humectants are moisturisers that work by attracting and retaining water in the skin. Non-synthetic humectants incorporate water-soluble amino acids and proteins from natural plant sources. They are present in skin moisturisers and some hair care products. Synthetic humectants can suffocate the skin whereas botanical extracts rehydrate the skin while allowing it to breathe. These are combinations of natural substances including oils, sugars, proteins and vitamins. Phytochemicals are easily absorbed through the skin. They can enable a cosmetic to treat the body holistically through absorption. They are found in body lotions, moisturisers and hair products. Phytochemicals are commonly derived from fruits and vegetable sources. These lotions contain vegetable amino acids and proteins (usually from peas). The lotion forms an even layer over the skin, which moisturises and allows it to breathe. As the lotion dries it retracts, creating a skin tensing effect. Over time this can help to maintain the skin's elasticity.